The number of women in the workforce has increased, particularly in New Providence, according to Department of Statistics figures released today. Unemployment rate stands at 13.7 per cent. The Bahamas’ unemployment rate dipped slightly to 13.7 per cent, according to the 2011 Labour Force Survey results released today by the Department of Statistics. The results are based on information obtained April 25 to May 1 this year. The survey previous to this was conducted in 2009. Both New Providence and Grand Bahama experienced a decline in the unemployment rate. In the case of New Providence the rate fell from 14 per cent to 13.2 per cent and in Grand Bahama from 17.4 per cent to 15.4 per cent. 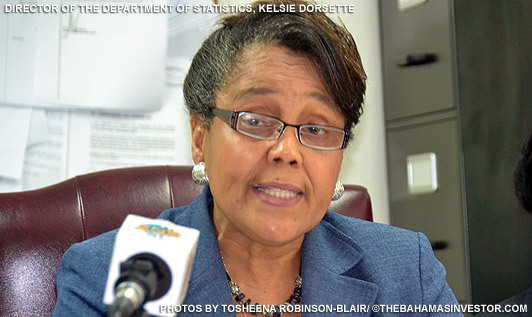 “The data shows that there was a noticeable increase in the number of employed persons and a slight decrease in the number of unemployed persons resulting in a decline of less than one per cent in the unemployment rate, which now stands at 13.7 per cent,”?says Kelsie Dorsett, director of the Department of Statistics. In comparison, Canada’s unemployment rate stands at 7.2 per cent and 9.2 per cent for the United States. Last year’s Labour Force Survey was preempted by the 2010 Census of Population and Housing. Since 2009, the labour force picked up 6,055 new persons, a 3.3 per cent increase, totaling 190,075. “Women were the main contributors to this increase, accounting for 78 per cent of the 6,055,”?explains Dorsett. Although a larger labour force exists in 2011, in comparison to 2009, the actual participation rate declined by 1.1 per cent. Women’s participation rate held steady, but that of men fell by 2.3 per cent. International Monetary Fund (IMF) delegation has concluded that despite the rise in expenditures during fiscal 2010/11, The Bahamas government will ensure stability in 2012. 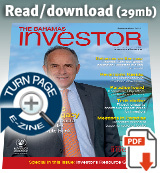 The head of the IMF team, Gene Leon, sees continued growth in The Bahamian economy. Central Bank's Monthly Economic and Financial Developments Report for June 2011 says that first two quarters results show sustained growth. One-off revenue gained from sale of government asset bolsters the bottom line.